Cost Effective – Concrete raising is typically about 33% less than replacing the same concrete. Ultimately, the cost of raising or stabilizing concrete is a direct reflection of how much leveling material the project will require. Time – Ready to use immediately. Clean Work Environment – No concrete or grout splatter and no wash down needed. 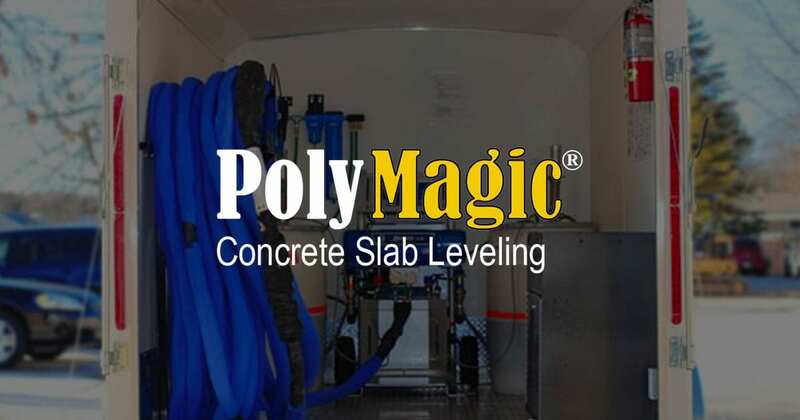 Smaller Holes – Polyurethane concrete raising drills a nearly invisible 5/8 inch hole and the process calls for considerably fewer holes than traditional mudjacking. When finished, minimal patchwork is needed. Lightweight – This material will never lose density. It is permanent and weighs only about 2 pounds per cubic foot. Compared to traditional mudjacking that weighs about 100 pounds per cubic foot. Green – Polyurethane is environmentally friendly. It consists of 39-49% renewable and recycled materials.